Hi, I have a lot of omamori accumulated from my travel in Japan. I understand that for some, it is a custom to dispose of them every year. If I live abroad, what should I do, according to tradition? Thank you! It's not disposal but return. oMamori is just an material, but it's accommodated with god's power. So we have to return it to the owner. But Japanese gods are accommodating and open-minded, you know. If you keep them clean with caution, and some other day you'll return them to any shrine that you can visit, it's O.K. I think. In Japan, October is called "Kamnazuki" that means "godless month". On this month, all gods' meeting convene in Izumo region every year. I think maybe gods return entrusted oMamori to the owner with each other there. Thank you very much! Your answer was very helpful, and your English is fine. If I return an omamori to a shrine, is there a place I need to put it? Do I give it to a miko? Thank you for your help. 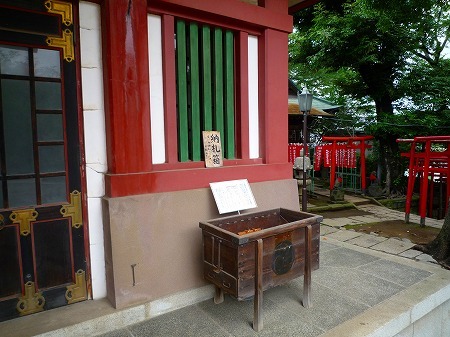 Yes, there is a place/box to return in large shrines. 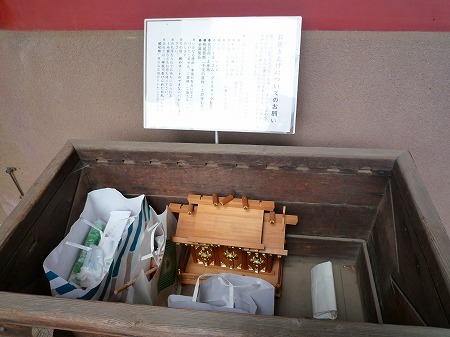 BTW, at Narita-san temple, I saw a shed with belt conveyer that takes charms, dolls and so on inside. The place/box looks like those pictures. Or if there is not, you can give it to a miko. BTW, if you are interested in, try goShuin (sign with red stamp) someday. 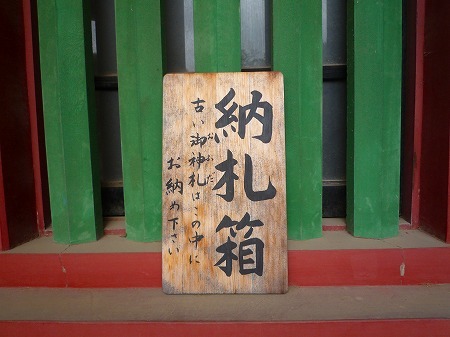 At almost all temples/shrines they write before your eyes, generally it's 300 yen. Thank you again! The information was very helpful. As a related question, can omamori be opened after the one year has expired, or can they never be opened? I think never be opened. In general, they say omamori will lose effect, if you open it. and impolite, so no-one open it. Maybe every year many "effective" omamori is opened by curious children.